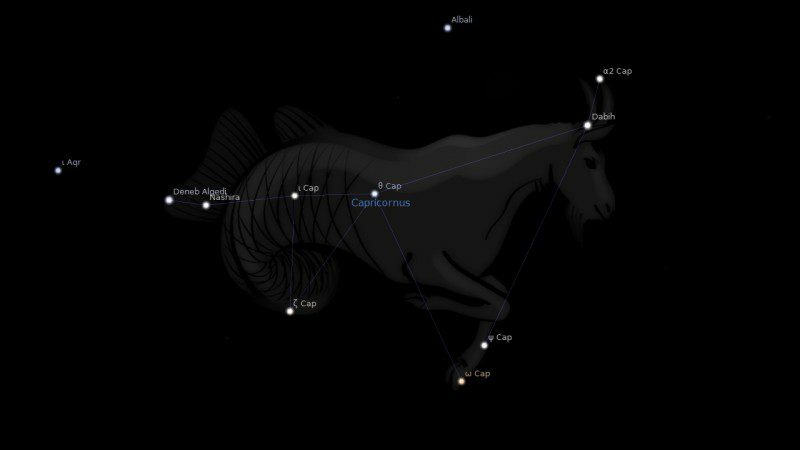 Fixed star Dorsum, Theta Capricorni, is a 4.1 magnitude yellow star on the back of the Sea Goat, Capricornus Constellation. The traditional name Dorsum is from the Latin word for The Back. Dorsum, θ Capricorni, is close enough in longitude to Armus that one may consider them as an astrological pair, if an item on the horoscope lies between them, but the distance is sufficient to take each one of them alone, if the item lies just before the first or just after the second. 1. Fixed Stars and Constellations in Astrology, Vivian E. Robson, 1923, p.163. 3. The Living Stars, Dr. Eric Morse, 1988, p.103. 4. The Fixed Star Health and Behavior Imbalance, Ted George and Barbara Parker, 1985, p.148. I have saturn conjunction Dorsum, 24, when I give pressure to lower shins, my left shin hurts notably more than the right shin, sad. I like exteme sports.